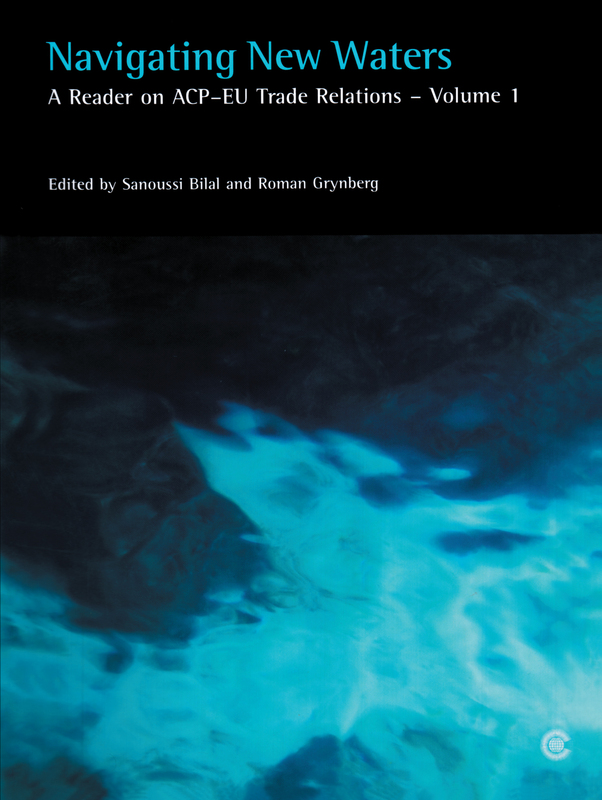 An essential reader and reference tool for trade experts and interested parties, bringing together key analysis on all aspects of trade negotiations between the African, Caribbean and Pacific (ACP) states and the European Union. The editors, both highly experienced in trade negotiations, have selected the most useful articles on all key aspects of trade negotiations, including market access, services, fisheries, regional integration, compatibility with the multilateral framework, the development dimension and capacity building in trade negotiations. The introduction highlights the major concerns of the book, focusing on ensuring that the priorities of developing countries are addressed. This publication is comprised of two volumes. 2 From Lomé to Cotonou: Business as Usual? 20 EBA-equivalence for non-LDC Sugar Exporters? 28 The European Investment Bank and the ACP Countries: An Effective Partnership? 34 A Caribbean-EU EPA: Towards an Enhanced Partnership? Dr Sanoussi Bilal is the Programme Coordinator of the ACP–EU Economic and Trade Cooperation Programme at the European Centre for Development Policy Management, Maastricht, The Netherlands. Dr Roman Grynberg is the former deputy director of trade at the Commonwealth Secretariat and is currently manager for economic governance at the Pacific Island Forum Secretariat. There are indisputable concerns over the ineffective participation of Least-Developed Countries (LDCs) and Small Vulnerable Economies (SVEs) in the process of global integration, and their failure to derive benefits from the ongoing process of trade liberalisation and globalisation. In the eyes of the world, the Cancun Trade Ministerial Meeting will act as a litmus test of the major industrial countries' commitment to inclusive globalisation, to meeting the Millennium Development Goals (MDGs) and to a stable and peaceful world.